Liz's Paper Loft: Monday Hop with EAD Designs ~ Best Witches! 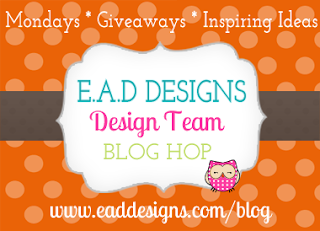 Happy Monday and welcome to EAD Designs Monday Blog Hop! If you arrived here from the fabulous Lauren then you're in the place! If not please head over to EAD's blog for the start. Be sure to leave a comment along the way so you can be eligible for this week's giveaway! Are you ready for fall? After the hot spell that we've had, I think I might be! 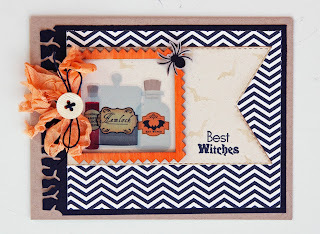 So for today's project I decided to jump ahead to Halloween with a fun chevron striped card! I LOVE this Liz!!! great papers and LOVE the sneak stamp set!!! This is so cute, Liz! 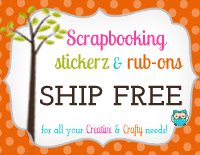 I love the apothecary stickerz, and the sentiment is perfect!!! Liz ~ Eeeek! I ADORE this Spooktacular card! You know the stickers, the sentiment, that tag, the ribbon, the hemp and of COURSE the paper ( LOVE that paper) but the design ~ I just LOVE!!! AWESOME as always! Love, love, love this! The wood frame is adorable!!! Love it, love it, love it!!! You so rocked this, I love all the little touches you included! sooo cute!!! I love halloween this is adorable!! I love this card! The paper is awesome! You did a fab job on this! I love it! What a fun card! Love how you framed th potion bottles. TFS. Great. What a good idea. Thanks. Love this Liz! I am loving the sneaks of the new release! Another must have! Just love those stickers. Your card turned out awesome. I just love this soooooooo much! The sneak is sooo cute! Love this card. So creative - thanks for sharing. Wow! The details in this card iare phenomenal. It's amazing! ADORABLE!!! I think I need to invest in some of the EAD products! 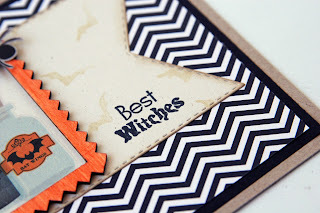 You make them go so well with Emma's stamps! 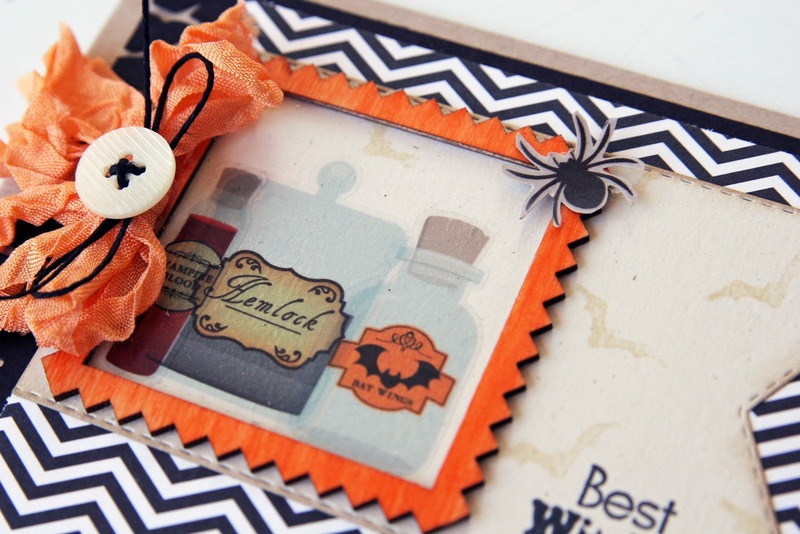 Great choice of Halloween papers! Love the embellishments, too. What a GREAT card! 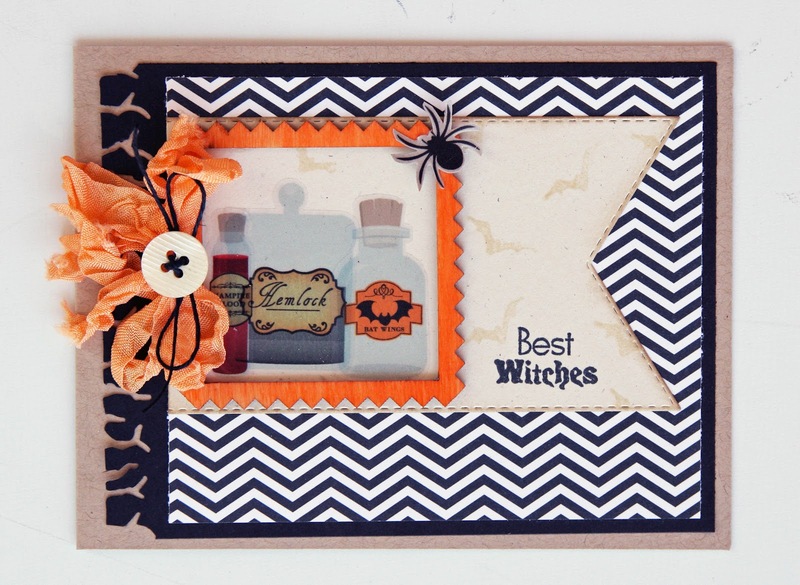 Super stylish Halloween card! LOVE LOVE LOVE!!!! such a great card!! !